If you do decide to embrace post-processing it opens up options to create your final image in simple stages, varying the settings to accommodate a wider range of light sources. For example, capture a base exposure with no light painting, then shoot separate frames for EL wire, orbs, domes, light sabers and wire wool, changing the aperture setting from f/4 to f/11 to reflect whichever light you’re using. The exposure time can vary in response to the time you need for each light painting function. Free software from StarStaX (designed for star trails but equally applicable to light painting) can quickly stack your JPEGs into a single image, or you can use Photoshop Layer blending mode > Lighten for complex layering with the freedom to mask areas of each frame. I use Lightroom for developing single images and cataloguing Raw files, but I dip into Photoshop when I’m layering two or more frames. You need to develop a workflow that works for you. When it comes to settings, the highlight and shadow sliders are my most frequently used adjustments. 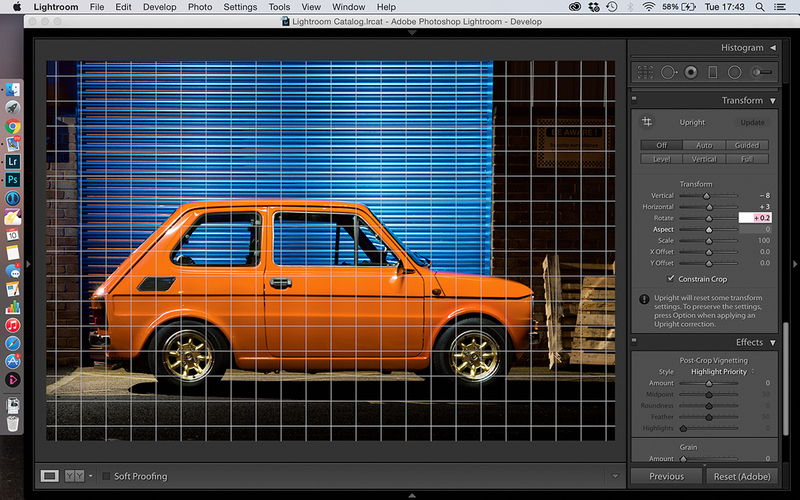 In Lightroom select all the frames that you want to consider for layering. This might include a clean, base exposure without light painting or even light-painting frames from other sessions. 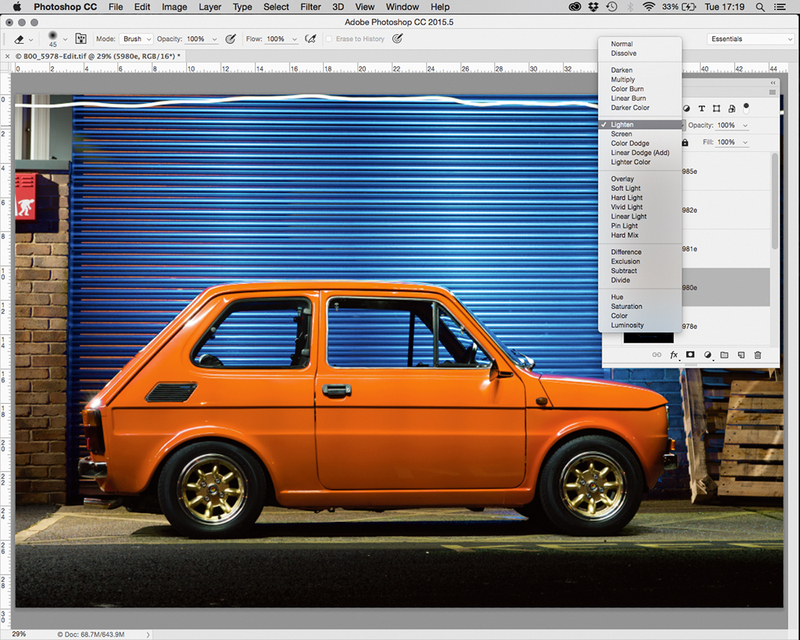 In Photoshop, copy each frame to a new layer in the same file and blend with ‘Lighten’ layer blend mode. Adjusting the opacity can bring a more cohesive feel across the whole image but straying too far from 100% opacity on lighting frames can look muddy. Any areas with stray light, or where you’ve ghosted into individual frames, can now be masked off to clean up the image. 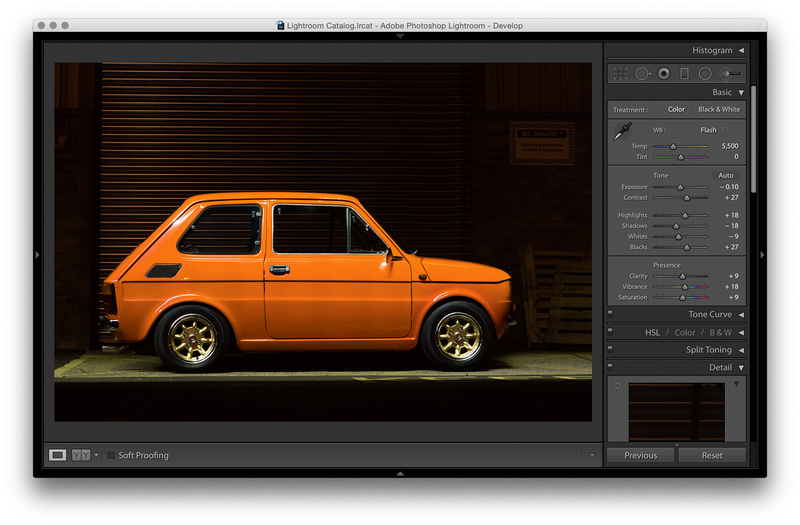 I usually place my base exposure as the bottom layer to preserve its EXIF data when it’s saved back to Lightroom. 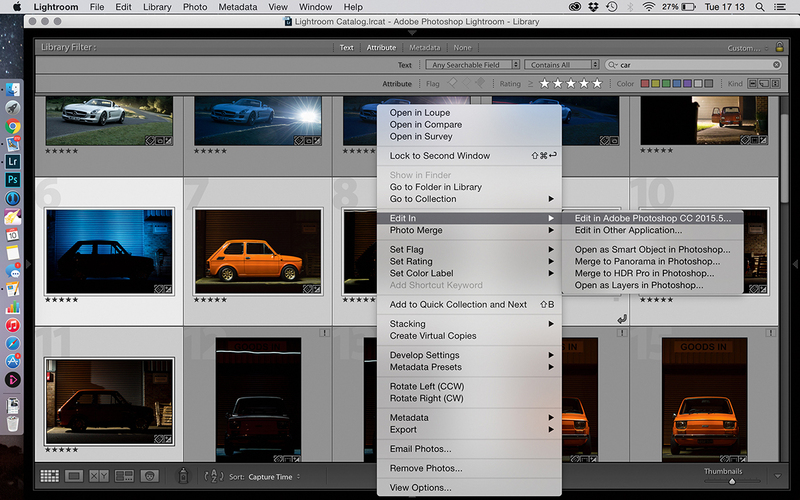 When you save and return, it preserves the layers and returns you to Lightroom for any final adjustments, and the chance to export. 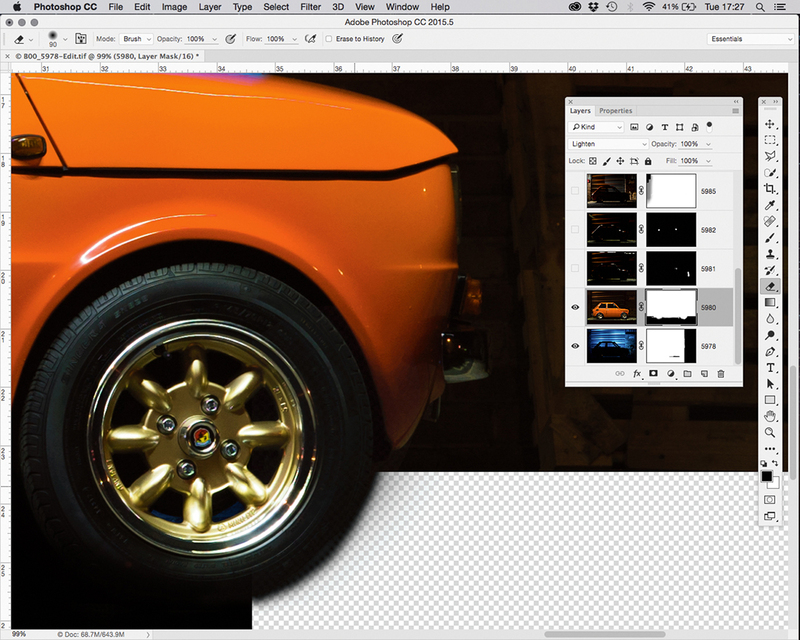 It’s here that I do any Transform adjustments to minimise the potential of small frame-to-frame misalignments.